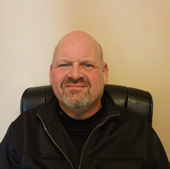 After 30 years of responding to the building and development needs of Seneca county and surrounding community, the Zeis family recognized the need to develop a separate company that specialized in water mitigation and structural drying. 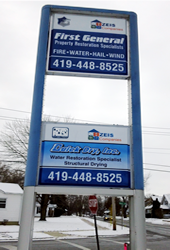 In 1994, Zeis Quick Dry was founded. From its inception it was outfitted and maintained with the latest state-of-the-art equipment and unparalleled staff. Utilizing their exemplary equipment and following their established standard protocol, Zeis Quick Dry has been requested and met the challenging and diverse needs of commercial and residential large and small disasters. 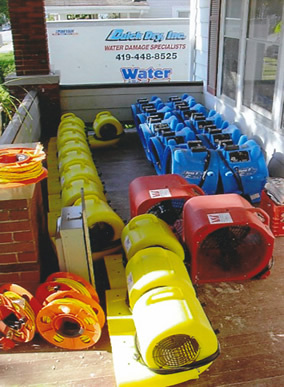 From the July 1997 Findlay flood, Katrina, and Hurricane Irene to the Hampton Inn in Tiffin, a school in Woodmere, and a shopping center in Toledo, when Quick Dry got the call they were immediately there, ready, and the clean-up restoration was resolved! Read more "Removing the Scars of Disaster" and the "Ready for Primetime." We pride ourselves in our results-oriented team that works hard to deliver unparalleled service 24/7/365. We offer a wide range of property damage restoration services meeting the needs of whatever restoration service you require. We determine cause, extent, quantum, and special issues to your insurance claim with policyholder assistance for presentation to your insurer. We complete minimum required emergency stabilization services for possessions and structure as required. We generate follow-up reports complete with photographs and estimates for policyholder and adjuster use and await authorization to proceed. We develop project schedule for contents and structure and provide solutions to any issues that may arise. We use Xactimate estimating software which is concurrent with pricing guidelines established by our client insurance companies.